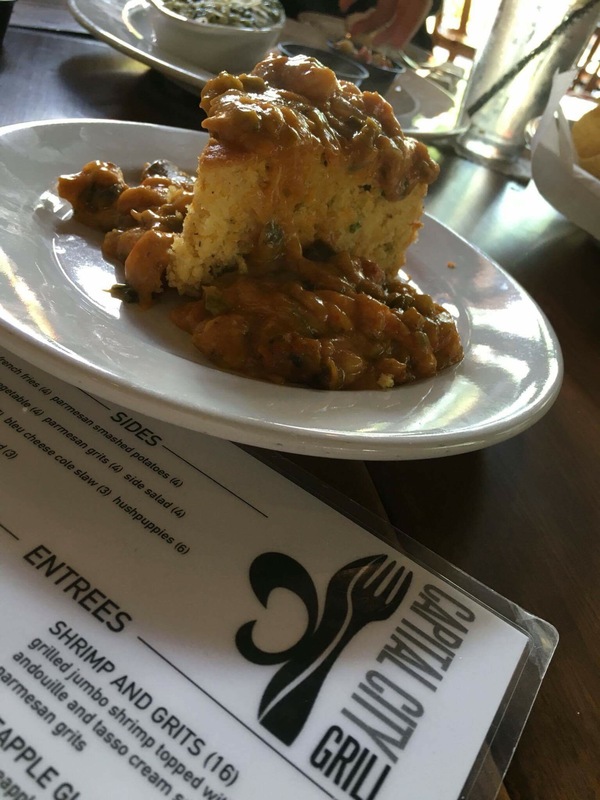 Baton Rouge Brunches reviewed the brunch from Capital City Grill Downtown and was joined by some special guests! 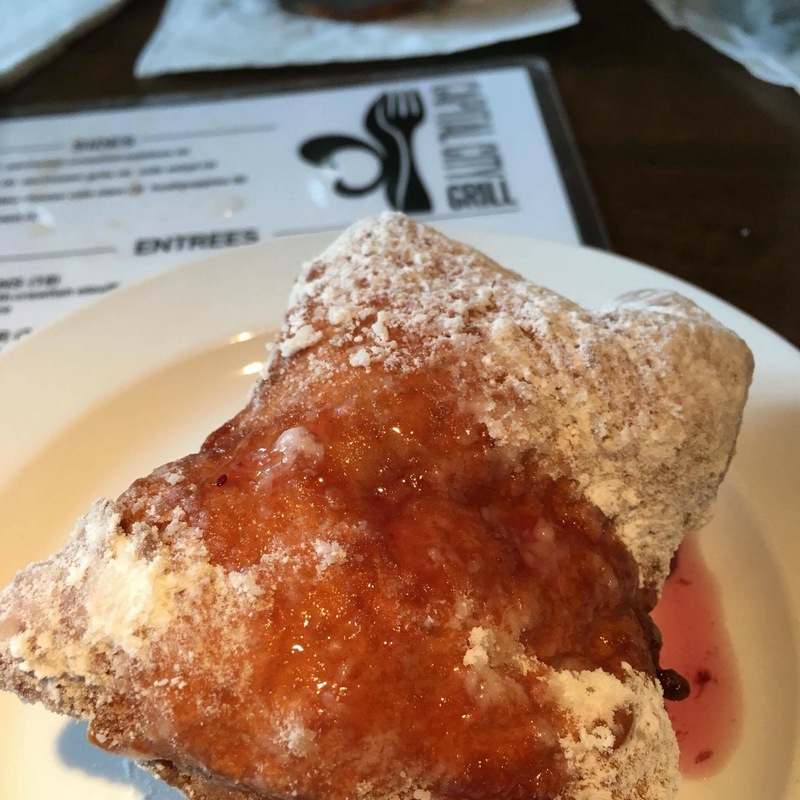 Teresa Bailey Day, of “I eat BR“, and Brenton Day, of “The Ale Runner“, joined BRBrunches to help review the CCG Downtown menu. How was it? Delicious. Affordable. Great service. 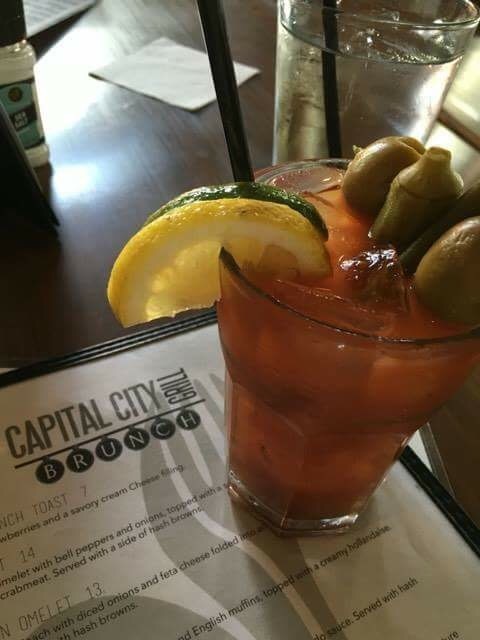 These ingredients make CCG Downtown a great brunch option. Reservations are available through Open Table and by phone. Staff is friendly and proactive. 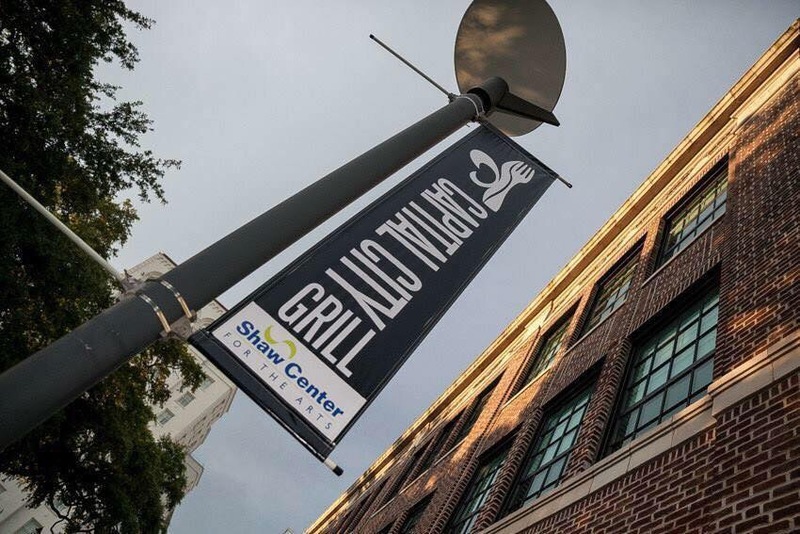 Great downtown atmosphere, with views of the Shaw Center and the Old State Capital. The restaurant is family friendly and has a full bar. Bloody Mary $3 Bloody Mary’s were a welcomed part of this brunch. Very well priced! 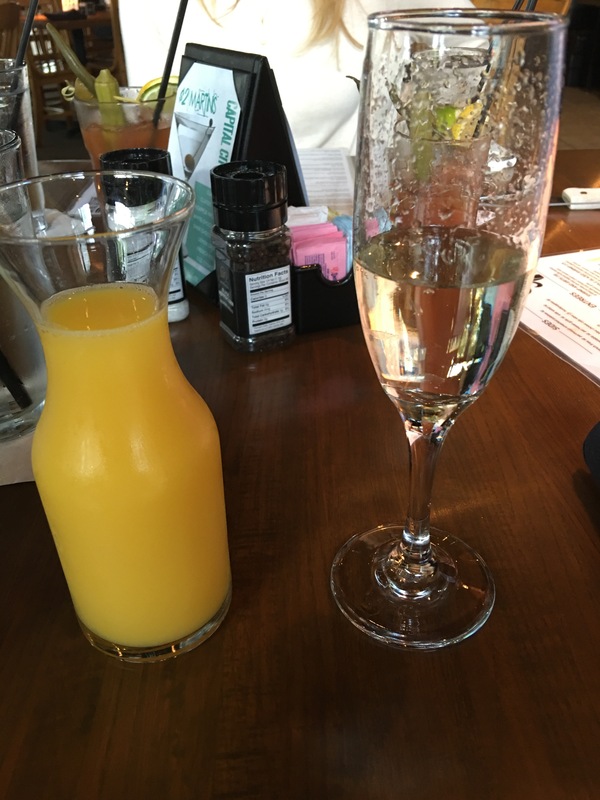 Champagne and Mimosas $5 bottomless champagne can be paired with a $3.50 carafe of orange juice. Another fair priced brunch beverage. 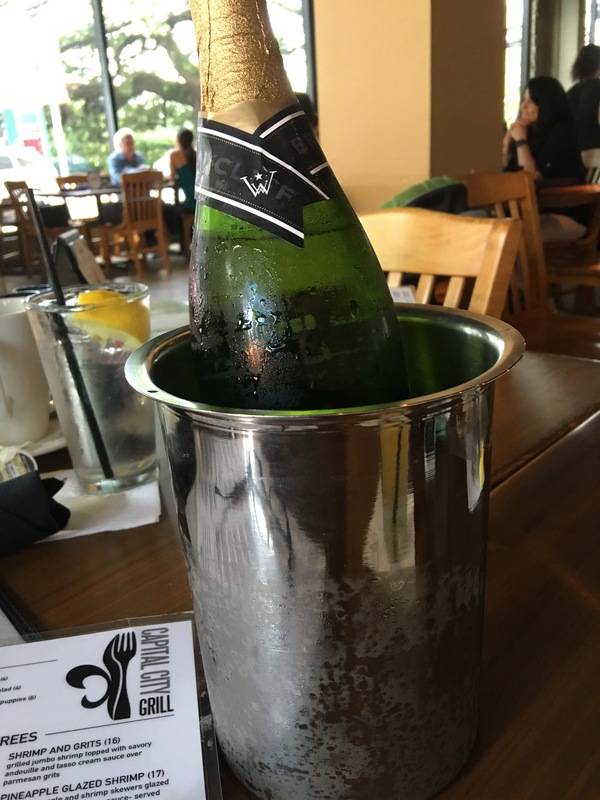 The bottle of champagne is opened and left at your table. 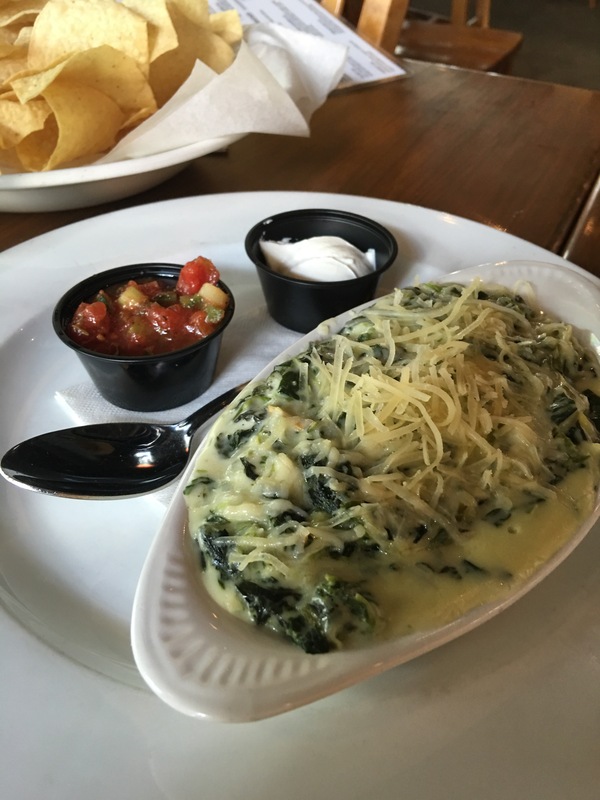 Spinach artichoke dip was a good dip that comes with tortilla chips, salsa, and sour cream. Great portion and was fine. 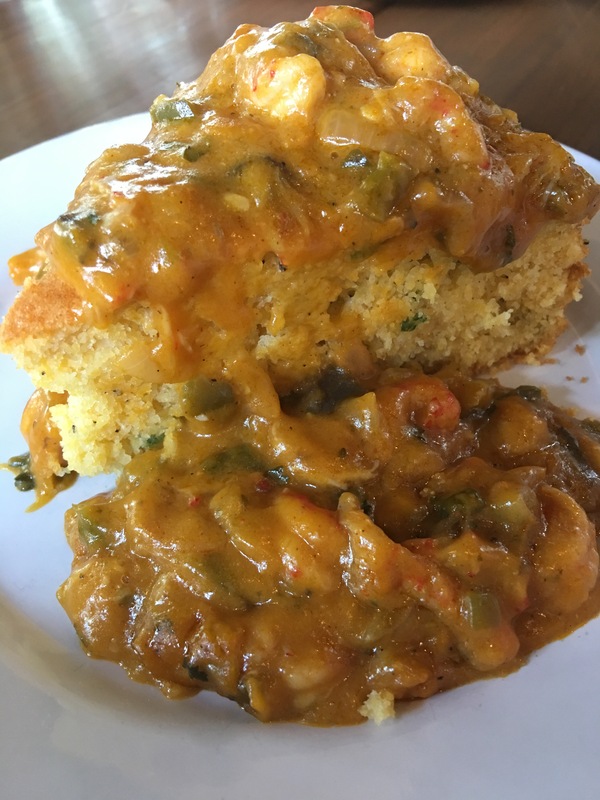 The Crawfish Cornbread This dish is slightly sweet and, paired with the crawfish etouffee, was never dry. Very moist cornbread but not soggy. Very creamy and rich. Savory! Do yourself a favor and try this! 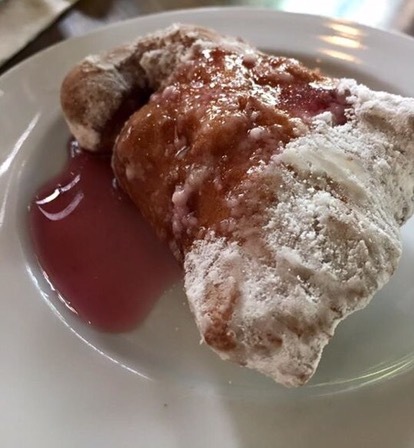 An off the menu item that you need to know about is the beignets with strawberry sauce. Ask the staff if you can get an order. 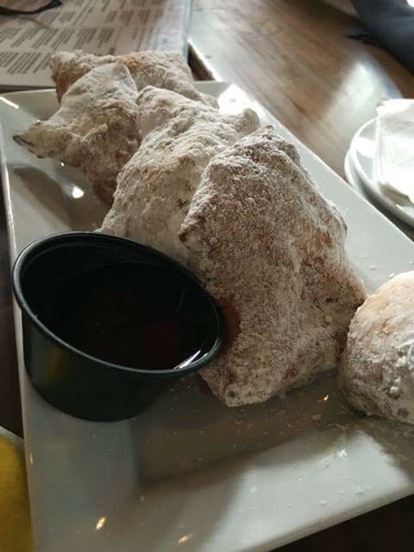 The beignets were nice, particularly with the strawberry sauce. The sauce is a game changer! Chicken was crunchy and outstanding. 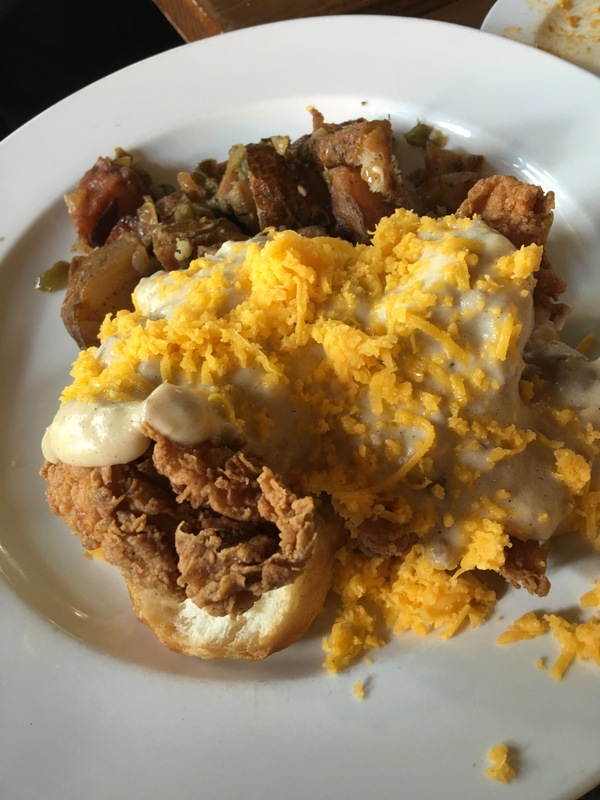 Biscuit was open faced and great. Good portion size for what is normally a heavy dish. An elegant comfort food. A must try. The shrimp and grits featured 6 shrimp, which weren’t jumbo, but were tasty. 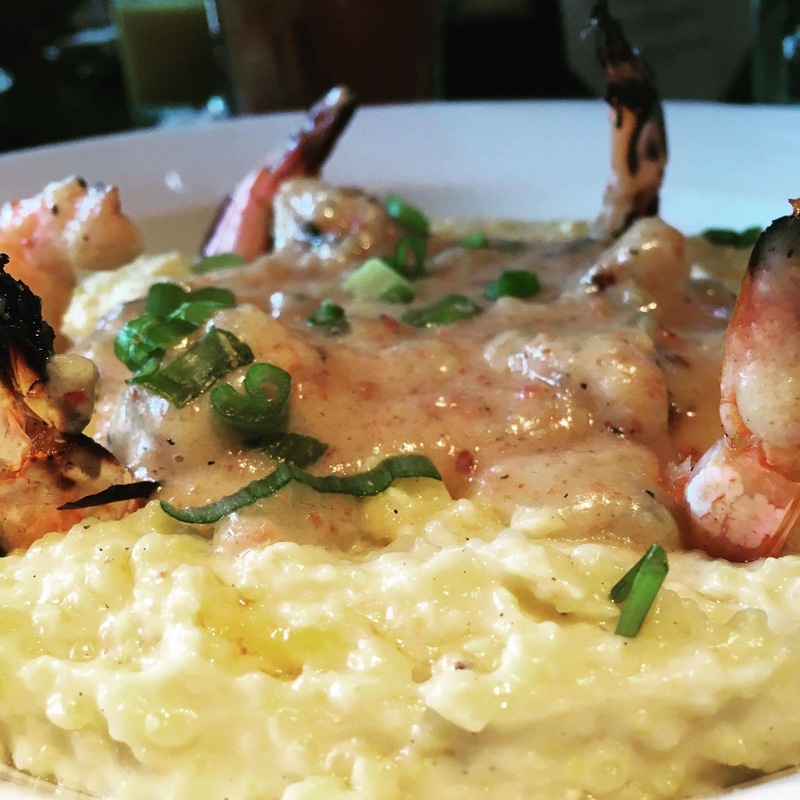 The highlight of the dish were the grits, which were creamy, smoky, and cheesy (in a wonderful way). The Tasso cream sauce was a nice accompaniment. 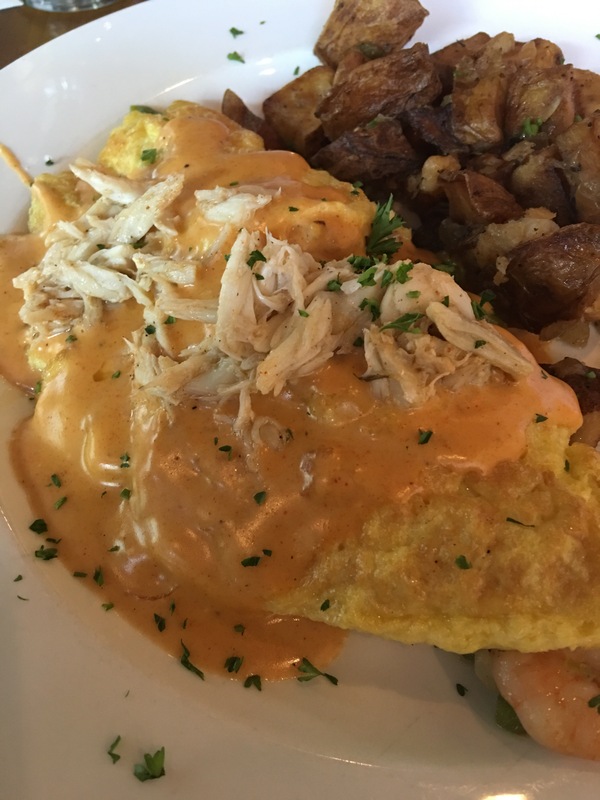 The Seafood Omelet Great portion of shrimp and crawfish and topped with jumbo crab! Did not disappoint. Cheddar cream sauce is rich and flavorful. A very good brunch omelet. Comes with hash browns. 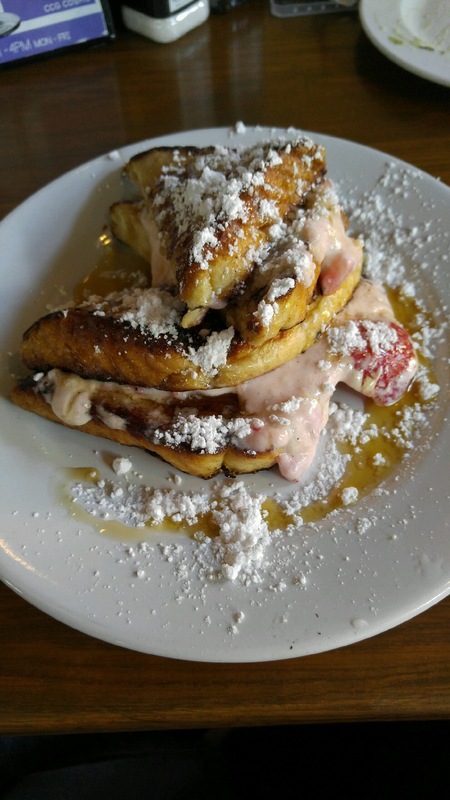 Strawberry French Toast Strawberry French toast was perfect! 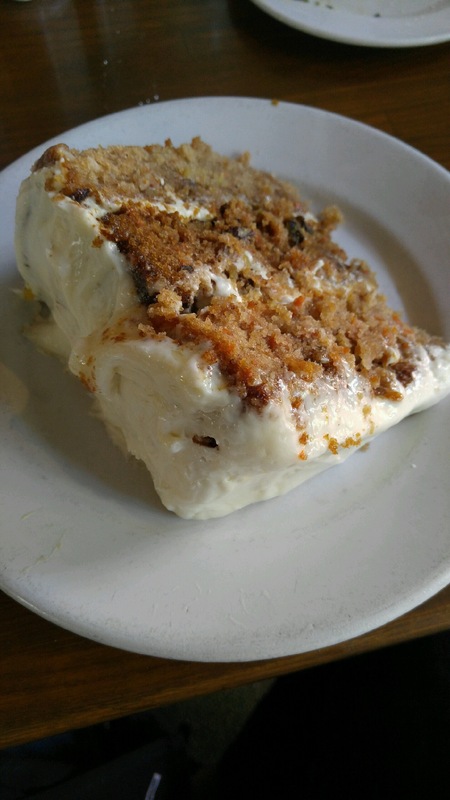 This entree is sweet and filled with flavor. Great value! Eggs Imperial Eggs Imperial has perfectly poached eggs perched on crab cakes which were atop English muffins. The dish is glazed with Creole hollandaise sauce. 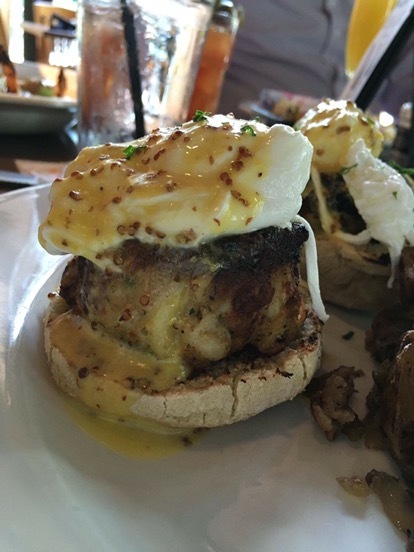 The crab cakes were alittle cake-y but not so much that it was a deal breaker. The yolk balanced it all out. The hash browns were golden brown on the outside and tender in the inside. 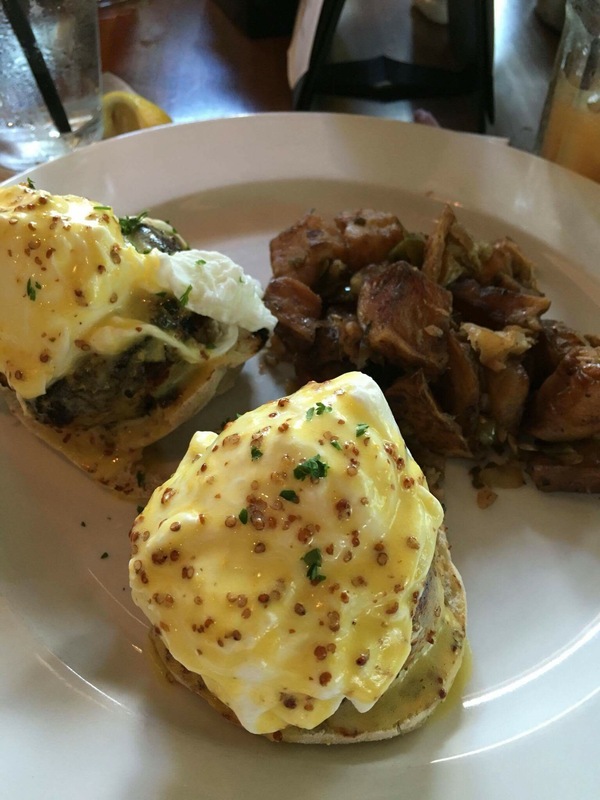 Are you looking for a downtown brunch experience? Capital City Grill won’t disappoint. Food is delicious and pricing is very fair, particularly drinks. Go try it! 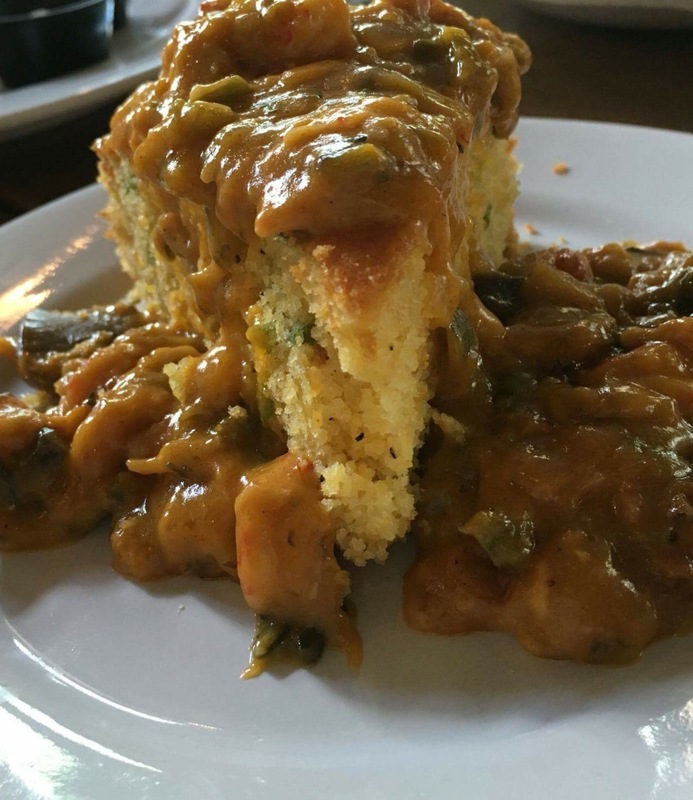 Baton Rouge Brunches doesn’t think you will be disappointed!